Hi Everyone: Was very lucky to attend the screening of Nightmare on Elm Street. It is as good as the original. The only thing negative about the movie was the new actor playing Freddie. What I mean is his facial features are not as strong and as scary as the original. His face was bland and nondescript. The original actor had a very strong presence. Other than that, I would still recommend the movie to horror fans. Thanks Sean and Campus Circle, another job well done. It's a good thing that there are people that are willing to fight for our rights. The person who murdered Malcolm X at point blank range has become paroled. He admitted to the killing of the Civil Rights Movement leader, but maintains to this day the other two men arrested with him are not his accomplices. Thomas Hagan was expected to be released on Wednesday, but due to the fact his agreements was completed early he was paroled Tuesday. He has served 45 years in prison and has tried for parole 16 times before they approved this one. Really though how much is going to change. I would bet not much. He obtained his masters degree in sociology, which is a great accomplishment for a prison inmate; and he has been on a work release program for years. He has had 2 days a week for a really long time to go out and perform a normal job. Thanks for the OC screening of Nightmare on Elm St. It was pretty creepy. I really liked it and will recommend it to my horror fanatical friends. Guy: "Oh God!" Freddy: "No! Just me!" Thank you for the Nightmare on Elm St. tickets Campus Circle ! I had a great time. Keep up the good work CC Crew. @Jdawgg2010: GO LAKERS !!! "Entrants must create their own suit"....Iron Man Suit? Wow...that's a tough one. Good Luck to people that enter. I hope CC posts pix. I'll wait for the IMAX experience for this movie. Thanks for all your work Campus Circle Crew. Nightmare rocked last night. Thank God they let us in the theater early. It was getting stuffy waiting out in the main area. Thanx again, CC. I walked the Iron Man 2 Red carpet the other day! Well said, Sean. Looking forward to heading back to Elm Street tonight. YEY~!!! I got my tix.. Im super excited...Vamos plebes..
have the tickets gone out already?.. should i still be waiting? To CC Members, I created the comment section on our website to give members a forum to comment on the various aspects of Campus Circle but it's not a place to use profanity, to make accusations about other members and attack them personally. That's unacceptable behavior. I've been involved with movie screenings for over 12 years now. The process of getting people into the events fairly has improved tremendously. However, there are still issues. The most important things to remember though are that we all have to respect each other, be courteous and think about other people while you are waiting online. If a member wants to get to a screening hours before the start, that's fine. I appreciate his or her dedication. In terms of holding spaces for people, everyone should only hold 1 space for their guest if he or she isn't there. That's the fair thing to do. The screenings are an enjoyable experience. Put an end to this rhetoric and let's get ready for an amazing summer of films. Adrenalin112 or MikeR, I now know that you are completely fixated on Adam in a creepy way. Is it the voices in your head that have convinced you that Adam has control of ALL the accounts on this site? Why would anyone want to stalk you on FB or twitter? Not me as you have managed to offend me with the use of vulgarity, which tells me you proabably have anger management issues too. I thought it was some kind of federal violation to use vulgarity on a PUBLIC message board?? Just asking, Jamie (not Adam). i haven't received my nightmare pass for wednesday....have they gone out yet? Hey adrenalin112... Weren't you just whinning that someone else saves spots in lines and now you are asking someone else to save you a spot for you?? What doesn't your bus get you there early enough to save your own spot? BTW...I know who you are but you don't know me.. Now that's funny!!! I am sure that people have crossed the line, maybe ticked one another off and maybe don't really care for some of the people they see at the screenings, but who are you to control who can or can't attend these FREE movies??? 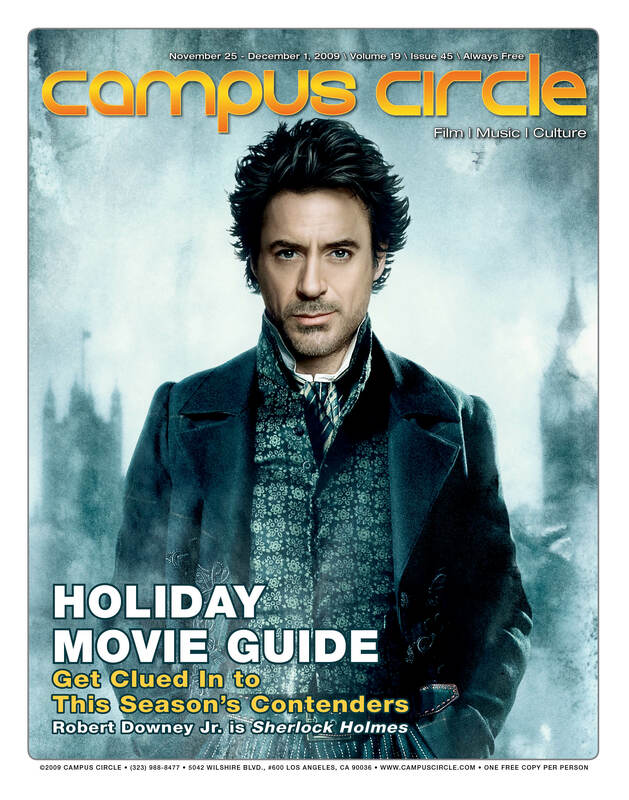 You are no one and only Campus Circle can make the final decision. So please rinse off your pacifier, put on a fresh diaper and get ready to wait in line at the next screening. Plan on seeing Adam somewhere near the front of the line because ADAM loves going to the movies and he is determined to be at the front of the line. If you don't like it, then get there before he does!! !Keep in mind this is a public forum for movie comments, not a site for public bashing!!! We will eventually find out who you are. So you may want to watch who you talk too. I have personally taken Adam to screenings under my own passes and I have waited in line with him for hours, to only question whether we will even get in the theatre. Adam's weight, hair style, and general appearance should be of no concern to anyone but Adam. He has had serious health issues, but managed to stay upbeat and friendly to everyone he meets. just registered for ironman. someone wanna save me a spot in line? ill bring the egg rolls.